The training venue makes an important contribution to your enjoyment and assimilation of the course content. It follows that we use our own centres or select training venues with great care to ensure that they come up to our very high standards. All our training venues are chosen for their superior facilities and provide the ideal training environment coupled with quality catering. 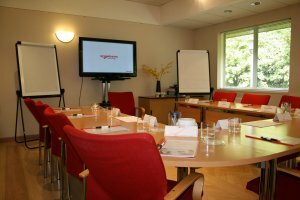 Courses outside of London are run either at our own training centre, where there is accomodation available locally, or in selected conference hotels/dedicated conference centres, where quality accommodation is available on site. Our 'in-company' courses may be at your offices or preferred centre. We will also find you a suitable venue for the programme as part of our in-company training service.